On Thursday, September 8, DECENT team participated on the first RIAT Fintech Academy Meetup in Vienna. DECENT founder Matej Michalko presented his views on the possibilities of blockchain mass adoption. 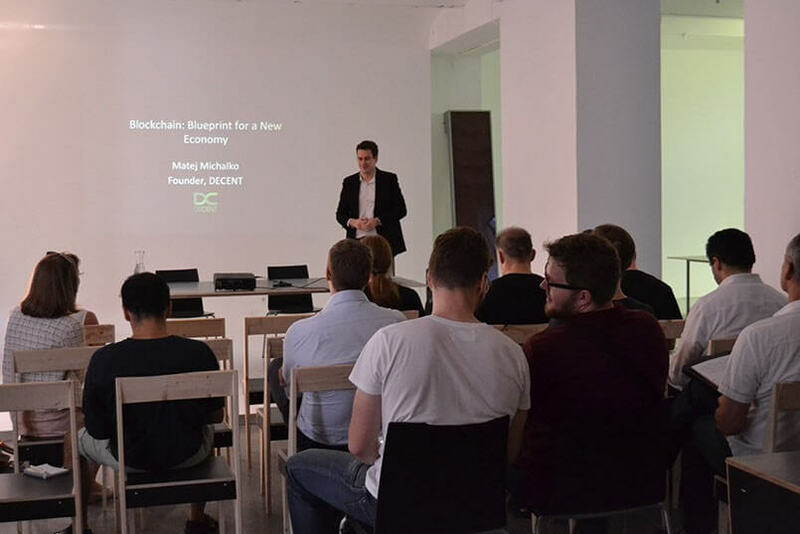 Located in the historical center of Vienna, the Fintech Academy Blockchain space serves as a great place to gather local community and discuss the decentralized future of human society. This very first meetup featured two innovative projects that support Blockchain implementation into people’s everyday lives: DECENT Network and BitRush. One of DECENT founders, Matej Michalko, presented his views on decentralized applications and their ability to reach mass markets in the near future. He also presented basic features and advantages of decentralized content distribution DECENT Network. After the presentation and Q&A session that brought several inspiring remarks, an open discussion took place. It’s always great to meet with people who share the same beliefs and are eager to recreate the world we live in. Thank you all for coming and sharing your views and opinions with us! Every feedback helps us to move forward in the development of DECENT. Stay tuned and receive all the great news by subscribing to our newsletter. Overview of our latest meetups in Miami and Nassau coming soon!